Dana and Dawn – sisters and believers in being proud of who you are and not letting circumstances get you down. 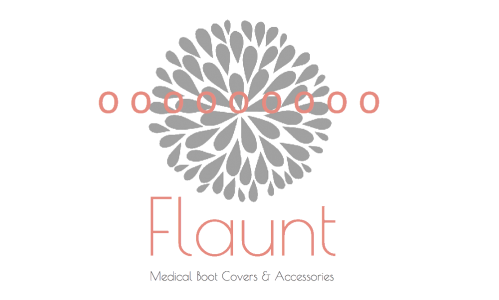 We started Flaunt Boots & Accessories as a way to support and encourage women in medical walking boots to get out and Flaunt your personality! Flaunt Boots & Accessories are covers to wear over your medical walking boots. All boots are easy on/off and can be accessorized so you can find something that matches your sense of style, your own personality. We don’t want you feeling like you have to stay home because you are in an ugly boot. Get out and show off that injured foot or ankle — get a little sympathy, and keep on living life! We believe in being yourself – be happy with who you are, the road you have taken, and the person you may still want to be. There is always room for personal improvement and we want to empower you to Flaunt your own personal style! Our blog isn’t just about medical boots – we enjoy creating ways to help you stay motivated, inspired, and enthusiastic about your life.